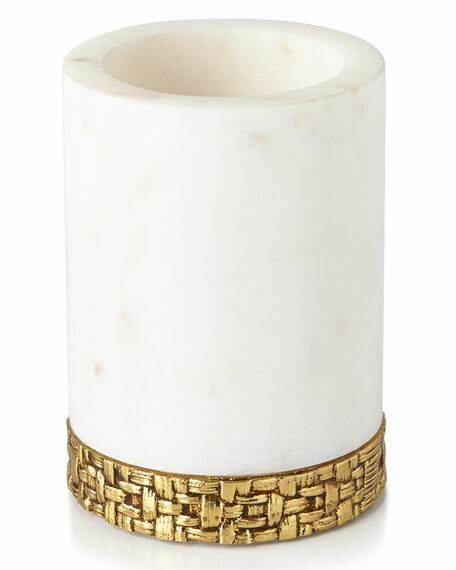 Toothbrush holder made of marble and antiqued gold-tone metal. 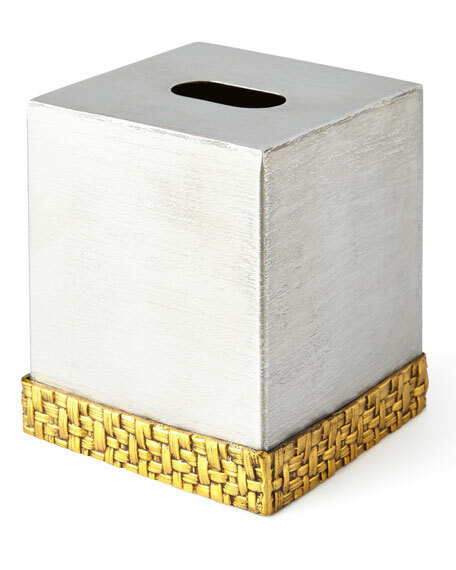 Tissue box cover made of stainless steel and antiqued gold-tone metal. 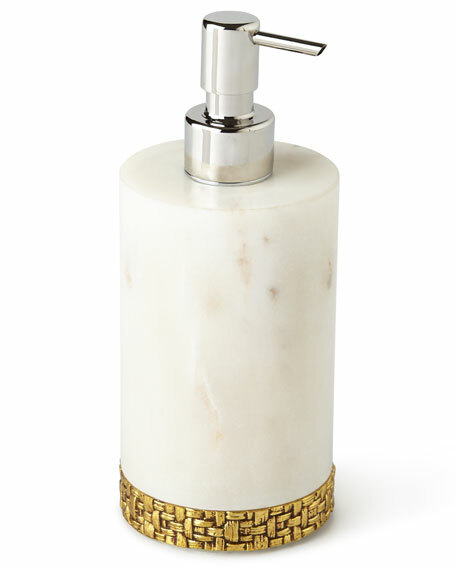 4.5"W x 4.75"D x 5.25"T.
Pump dispenser made of marble and antiqued gold-tone metal. 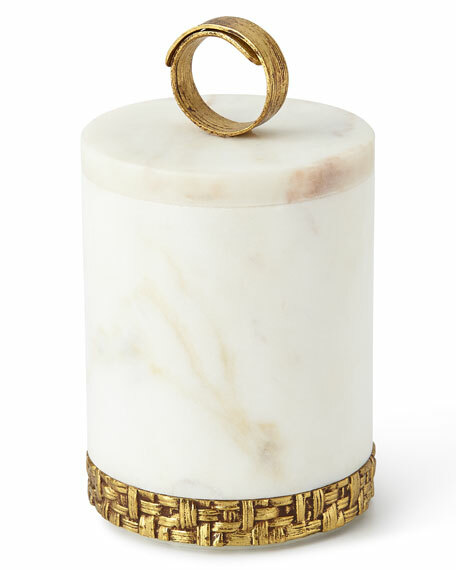 Container made of marble and antiqued gold-tone metal. 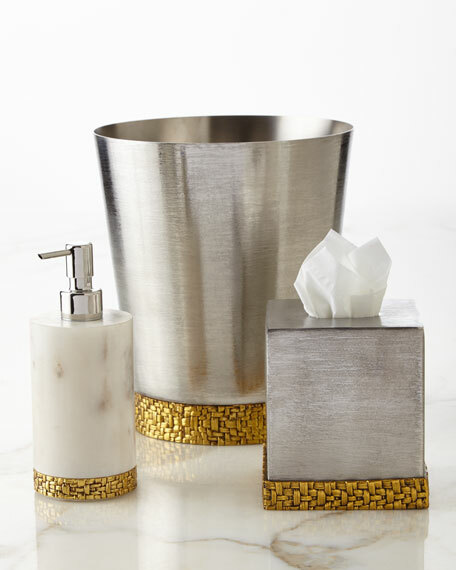 Vanity tray made of stainless steel and antiqued gold-tone metal. 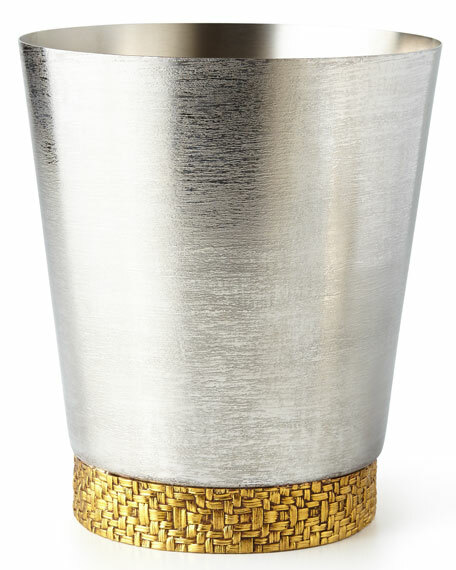 16"L x 6.75"W x 0.5"T.
Wastebasket made of stainless steel and antiqued gold-tone metal.